Dr. Barbara Kuczynski received a Bachelor of Science in Electrical Engineering from the University of Michigan, Ann Arbor. She attended Wayne State University School of Medicine, where she finished in the top of her class. She completed her internship and residency in Ophthalmology at William Beaumont Hospital, Royal Oak, MI. 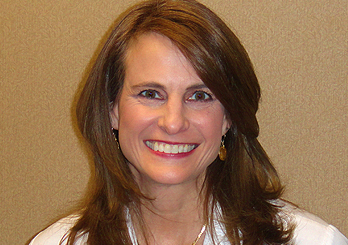 Dr. Kuczynski has been a board certified Fellow of the American Academy of Ophthalmology since 2000. Dr. Kuczynski teaches Ophthalmology residents at William Beaumont Hospital, Royal Oak. She is also an Associate Clinical Professor at Oakland University William Beaumont Medical School. Dr. Kuczynski has been interviewed numerous times for television and radio regarding her expertise in certain areas of Ophthalmology. 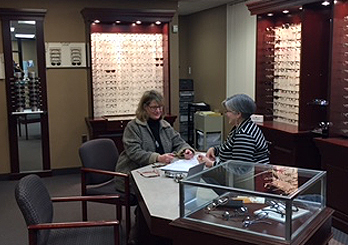 Our friendly and experienced staff can help find the best glasses for your needs. We fill custom orders as well as outside orders. Dr. Barbara M. Kuczynski received a Bachelor of Science in Electrical Engineering from the University of Michigan, Ann Arbor. She attended Wayne State University School of Medicine, where she finished in the top of her class.